This will be the last part of the blog series but probably the most interesting one. When you launch a smartstate analysis you will see the following in you evm log files. [----] I, [2018-03-11T16:13:05.374585 #3424:4f7130] INFO -- : MIQ(ManageIQ::Providers::Amazon::AgentCoordinator#find_or_create_keypair) KeyPair smartstate-2ae1670a-2fcc-4bbb-abcc-3fa962895096 will be created! [----] I, [2018-03-11T16:13:11.145451 #3424:4f7130] INFO -- : MIQ(ManageIQ::Providers::Amazon::AgentCoordinator#get_agent_image_id) AMI Image: RHEL-Atomic_7.4_HVM_GA-20180104-x86_64-1-Access2-GP2 [ami-d97120a3] is used to launch smartstate agent. /opt/rh/cfme-gemset/bundler/gems/manageiq-providers-amazon-9620e26f4381/app/models/manageiq/providers/amazon/agent_coordinator.rb . Its out of scope to discuss the entire ruby code, but it will tell you, how we do it. This means that the key used for the ssh login to the RHEL-Atomic_7.4_HVM_GA-20180104-x86_64-1-Access2-GP2 (ami-d97120a3) is generated on the fly. Let’s explain how you can get that key so you can SSH into the atomic instance and see whats going on. In my case its the first key as I did not create another one yet. Then go ahead and decrypt that key. 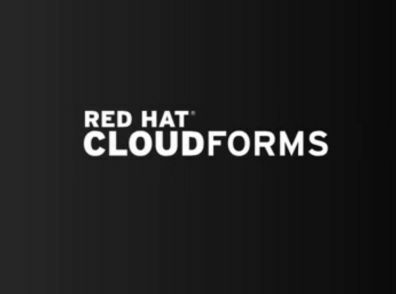 This should match what you see in the Compute> Cloud -> KeyPairs. As I assume that you already launched the smartstate analysis. 3 SQS queues were created in the meantime for you as well as an s3 bucket for the heartbeat where it will store the instance id for the agent. If you go to SQS in the AWS console you will see. When running smartstate you will actually have a message in the request queue. 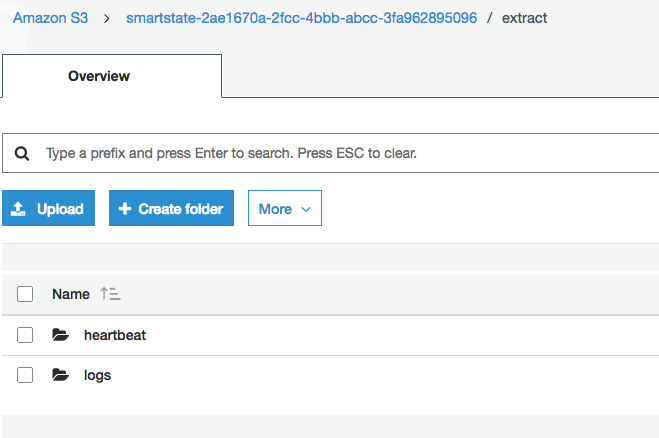 This will the CFME to launch the smartstate instance. As you probably noticed a security group named smartstate was created for you as well. 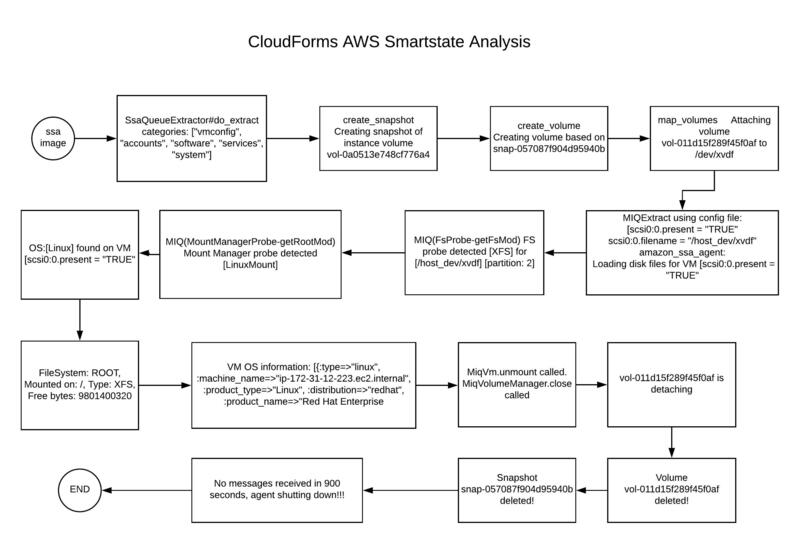 If everything is working correctly you should see the that the cfme-amazon-smartstate image gets pulled. The next step, of course, is that CFME will launch it.